Like any other operating system, Windows has its own basic command line networking utilities which are widely used for troubleshooting and information gathering purposes. These basic Windows networking utilities like Ping, Tracert, IPConfig, etc.., are very helpful and allow you to manage and monitor your network connections without installing additional software. For those who are not aware of such tools, or are not clear of how these tools work, let us discuss what these basic Windows network utilities can do for you. Note: You can use the regular Windows command prompt to execute the commands shown below. The Ping command is used to check if the source computer can reach the specified destination computer. Generally, Ping sends ICMP request packets to the remote destination, and if the remote destination sends a response in reply, it is deemed to be alive. 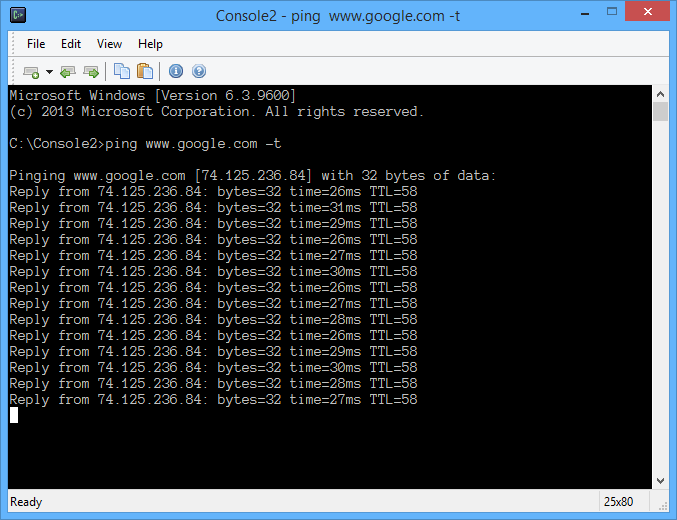 Moreover, whenever you ping a host and receive a reply, you can see the time taken for whole round trip. If the remote host isn’t available or is configured to not reply for the ping packets, then you will have a packet loss and will receive errors like “Request Timed Out”, “Destination Host Unreachable”, etc. You can also execute different flags like -n, -f or -a to achieve different results. -n – Determines the number of echo requests to send. The default is 4 requests. -w – Enables you to adjust the time-out (in milliseconds). The default is 1,000 (a 1-second time-out). -l – Enables you to adjust the size of the ping packet. The default size is 32 bytes. -f – Sets the Do Not Fragment bit on the ping packet. By default, the ping packet allows fragmentation. In the command above, the switch -t tells the ping command to ping the destination host until we stop it manually. Other than the URL, you can also enter an IP address as the destination. While the Ping command is used to see if the source computer can reach the destination, the Tracert command in Windows is used to see the path a packet takes from the source to the specified destination. The best thing about the tracert command is that it lists all the routers it passes through, and it also displays the time taken for each hop. Just like the Ping command, Tracert can also be used for troubleshooting purposes. You can check out this Microsoft article for more ways to utilize the Tracert command. Netstat stands for “Network Statistics,” and it can be used to display all the information about the inbound and outbound connections over a network. By default, netstat command shows you a simple list of all the open TCP connections along with the source and destination IP addresses. For instance, execute the below command and you will see all the active TCP connections from your Windows computer. 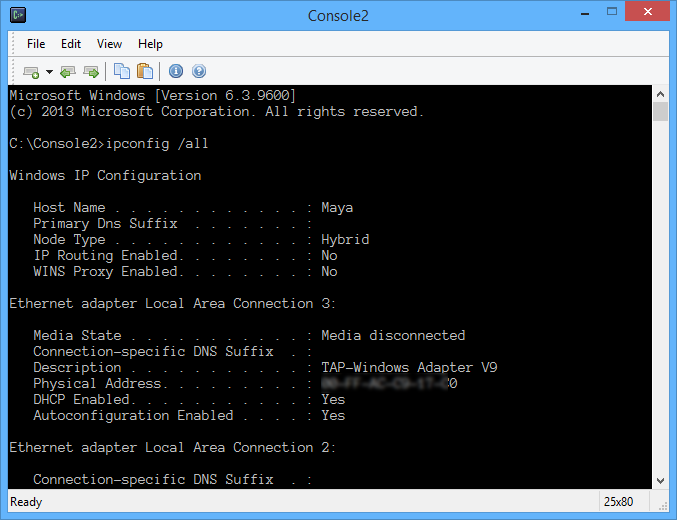 Starting from Windows NT, Microsoft introduced a new command called ipconfig which is designed to allow users to manage and view all the networking information of a Windows computer. Below are some of the most commonly used ipconfig commands. The above command can be used to view the details of all the network adaptors attached to your Windows PC. FlushDNS command can be used to flush your DNS cache, which in turn forces Windows to get new DNS records from the provider. The command can be used to release the IP addresses used by specific applications by terminating all the active TCP/IP connections.